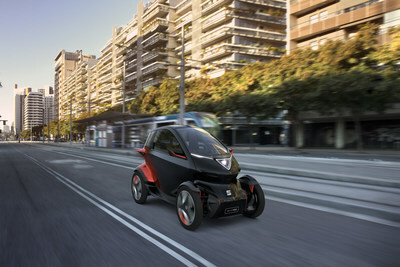 BARCELONA, Spain, Feb. 26, 2019 /PRNewswire/ -- Mobile World Congress -- SEAT, a member of the Volkswagen Group and one of Europe's biggest car manufacturers, along with IBM (NYSE: IBM), announced the development of a new solution designed to transform driving in cities. Announced the day after SEAT presented its concept car Minimó promising to revolutionize urban mobility, 'Mobility Advisor' uses IBM Watson AI to help urban citizens make informed decisions about their daily transportation options including cars, scooters, bikes and public transport. With IBM Watson Machine Learning, 'Mobility Advisor' can learn a user's preferences and make personalized recommendations for how best to complete a journey. Connected to the IBM Cloud, it dynamically adapts to changing conditions by taking into account weather forecasts, traffic reports and things happening in the city that day. It incorporates the user's appointments and historical data about previous choices in order to suggest the best modes of transportation each time – even if that means leaving the car behind, walking, or using one of SEAT's e-Kick scooters for the part of the journey.